­For centuries, onchocerciasis, commonly known as river blindness, had plagued remote communities in Africa, Latin America, and Yemen. Lifelines for villagers, the rivers are breeding grounds for black flies that, when infected with a parasitic worm, transmit the disease through repeated biting. In return, those infected transfer the disease to uninfected flies who bite them, resulting in a plague characterized by extreme itching and eventual blindness. It was in the late 1970s when, working with a batch of microbe strains that Ōmura sent over for evaluation, Campbell developed the drug Ivermectin (later named Mectizan) and suggested it would work for river blindness in humans. Not only did the drug work, it also proved effective against the parasite that causes elephantiasis, which co-exists with river blindness in many places. In terms of Merck making the drug available for free in poor countries, Campbell defers credit to the executives of the company after successful human trials done in collaboration with French tropical medicine experts in Africa. “It worked just wonderfully well and the question then was what to do with it. As a pharmaceutical company, it would have been nice to sell it at a profit, but those most affected lived in poor countries, so there was no way people were going to get it unless it was donated,” he says. I met with Campbell at his cottage in Cape Cod last summer. At 86, I found him to be fit and trim with twinkling eyes, a keen mind, and self-effacing wit, as well as decidedly modest about his Nobel Prize. 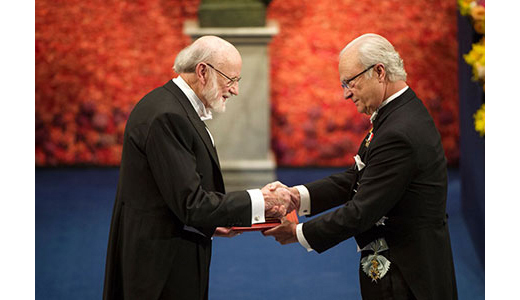 William Campbell receiving his Nobel Prize from H.M. King Carl XVI Gustaf of Sweden at the Stockholm Concert Hall, December 10, 2015. Since we spoke last summer, Campbell has traveled Ireland. He spoke at the Institute of Technology Sligo, then headed to Donegal for a homecoming reception in Ramelton, and following a few days break to visit with family, he traveled on to his alma mater, Trinity College Dublin, where a new fellowship, “The William C. Campbell Lectureship in Parasite Biology,” has been created. We keep in touch by email, and he tells me that our Hall of Fame event is one of the last he will do. He’s looking forward to a return to a quieter life with his wife and family in North Andover, Massachusetts. He and Mary Mastin Campbell met at a church function in Elizabeth, New Jersey over 50 years ago, and she’s been at his side ever since. They have two grown daughters and a son, and family and grandchildren are an important part of their lives. Campbell keeps fit playing doubles ping pong games, several times a week, enjoys solitary kayak trips in early morning, and the occasional hike up nearby half-mile hill. He spends much of his time painting and writing poetry, which reflects his passion for roundworms and other kinds of parasitic worms. 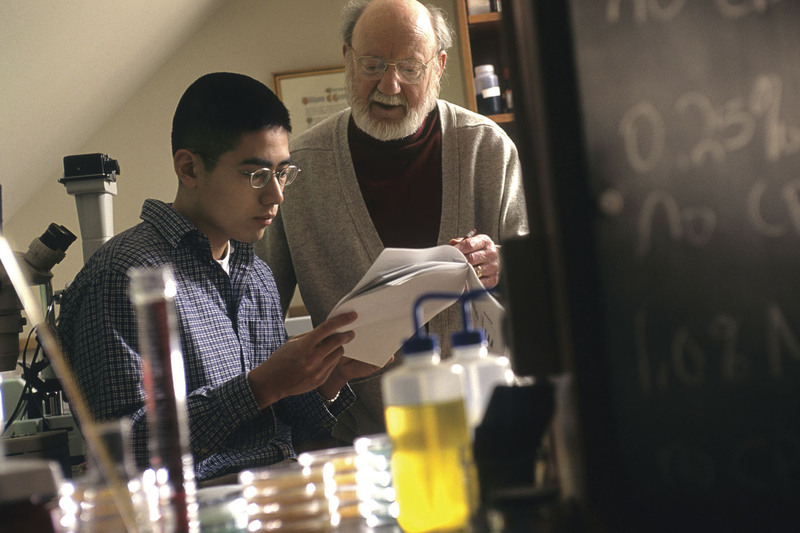 The American Society of Parasitologists has been a staple in Campbell’s life since he moved to Wisconsin in the 1950s. The society’s annual auction raises money to bring students to the meetings, and Campbell’s donated art, sees bidding wars that drive the prices skyward. He also helped create an award to recognize student achievement in parasitology. Campbell has worked with both human and veterinary medicine because parasites are so integral to both. Among the other diseases he has helped eradicate is trichinosis, a disease that comes primarily from eating under-cooked pork. In addition to running the store, Campbell’s father also farmed, raising shorthorn dairy cattle that won prizes at agricultural shows. It was at an agricultural show that 14-year-old Campbell picked up a leaflet on fluke worms in sheep that, in hindsight, may have influenced his interest in becoming a scientist. But then Campbell could just as easily have become a writer, an artist or a historian. His teacher during his formative years, Miss Martin, “instilled a love of learning, not in the sense of a chore to be mastered, but getting the satisfaction of knowing something, and remembering something. She had a tremendous influence on me,” he said. Campbell’s path to becoming a parasitologist began in college, with Desmond Smyth, the renowned science professor at Trinity College, Dublin. 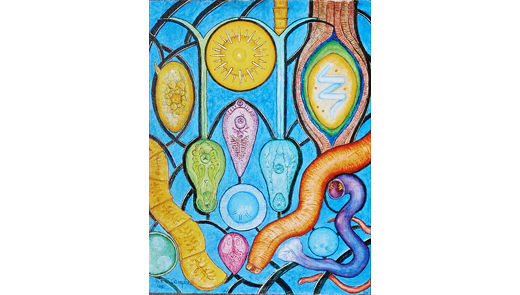 “He changed my life by developing my interest in parasitic worms,” he told me. And Smyth was there again to make sure that his student took it to the next level. 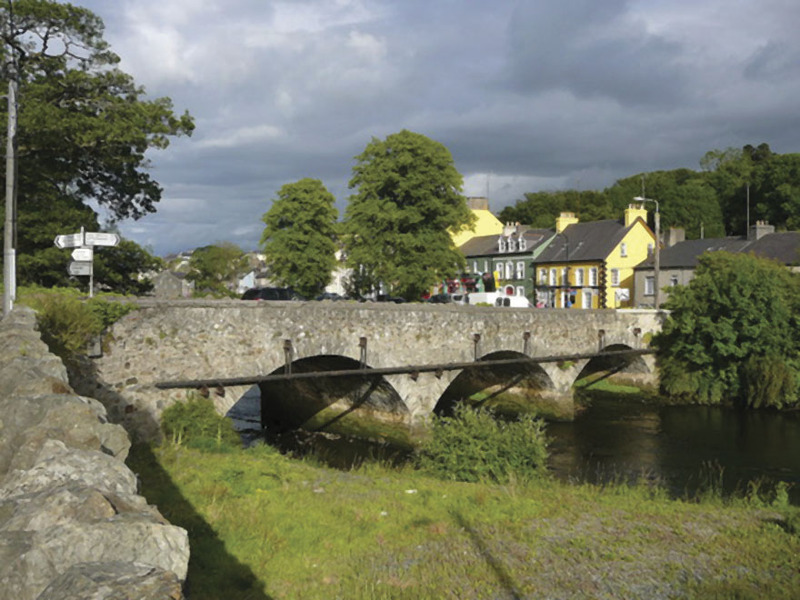 The picturesque town of Ramelton, County Donegal, where William Campbell grew up. The town had a homecoming reception for Dr. Campbell last September. Recruited by Merck out of school, Campbell stayed with the company for over 30 years, developing many significant drugs for humans and animals. But it is his hope that the future of science in medicine will be one free of chemicals. “We need to look at the immunological response and other biological approaches rather than chemical contrivances. We need to continue to work on other ways of interrupting life cycles and disrupting transmission of disease. One would hope that eventually [chemicals] would be replaced but certainly we are not anywhere near that yet, except in certain cases such as virus diseases,” he said. Former Drew student Manny Gabriel (see opening page photo), who just finished a fellowship at Roswell and will soon be working at the Mayo Clinic Florida, wrote to me of Campbell’s influence. In 1995, Limerick-native Michael Dowling was offered the position of senior vice president of hospital services at Northwell Health, formerly North Shore-LIJ Health System, which was then a collection of several hospitals on Long Island. In 1997, he advanced to the position of executive vice president and chief operating officer, and a short five years later was named president and CEO of the organization. It was a quick ascendancy, though no surprise. Under Dowling’s leadership, growth has been explosive at Northwell. Its service potential has expanded to include 21 hospitals and more than 550 ambulatory care facilities, and it is one of the nation’s largest healthcare systems and New York State’s largest integrated healthcare network. It is also the base of operations for the Center of Learning and Innovation (the largest corporate university in healthcare) as well as the Patient Safety Institute, the most prominent patient simulation center in the country. And, with 62,000 employees, Northwell Health is the largest private employer in the state. The road that led to Dowling’s current position was by no means a short or straight one. Over the course of his illustrious professional life, he has held numerous diverse jobs that give him a unique understanding of the hurdles faced by people in all walks of life. It is this mindful, empathetic approach that makes him one of the most thoughtful and considered business executives in the healthcare industry. 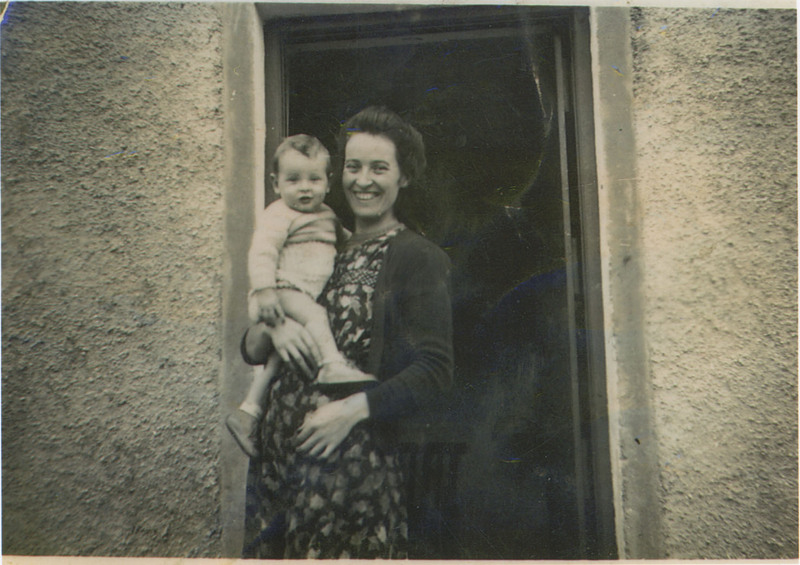 Michael Dowling, held by his mother Meg in front of their thatched cottage home in Knockaderry, County Limerick, 1950. Born just outside the town of Knockaderry, County Limerick, Dowling was the brother of four younger siblings and son of two disabled parents – his father suffered from severe arthritis and his mother had a hearing impairment. Their conditions set the tone for his personal relationship with the healthcare world. The family home had neither electricity, heat, nor running water. Yet never for an instant did his mother allow him to believe that he could do anything less than what he set his mind to. America, it turned out, was indeed on the cards for Dowling’s future. While many took a narrow-minded view of his prospects (one local milk farmer went as far as to tell him to his face that he would never go to college), he defied their predictions by being the first member of his family to progress to third-level education, which he began at University College Cork in the fall of 1967. Beginning at age 17, he went to New York on a J-1 visa each summer, working every job he could juggle at once to fund the entirety of his four-year undergraduate degree. He compiled experience loading cargo on the docks, working in the engine rooms of tour boats, plumbing, cleaning, and on construction sites, often working 120-hour weeks not only in order to pay his tuition, but to continue to support the family he missed across the sea, even paying for his siblings to attend college. That first summer, he worked on New York City’s docks cleaning boat engines on the Circle Line. “To me, it was absolutely phenomenal. I was happy. I couldn’t have been happier! People ask me if it was hard work, but none of that stuff was hard because everything is relative,” he says. “There were no jobs back in Ireland, so I was over here, and it did not matter what kind of the job it was. I worked in construction and I worked as a plumber; I worked cleaning out schools at nighttime and I cleaned out bars in the morning; it was all great. 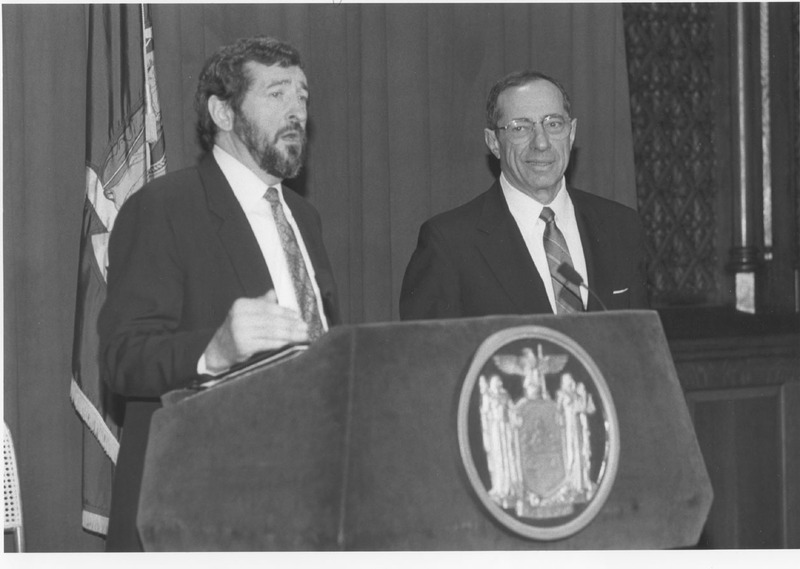 Dowling and former New York Governor Mario Cuomo. His dauntless energy saw him through to the completion of his undergraduate degree, moving onward to permanent residence in New York and enrollment in a master’s program in social policy at Fordham University. It was here where he met his wife, Kathy Butler, with whom he eventually had two children – Elizabeth, a registered nurse specializing in oncology, and Brian, the imaging supervisor at Northwell Health’s Long Island facilities. In 1979, Dowling became a faculty member at Fordham as director of the campus in Tarrytown, New York. He later served as a professor of social policy and the assistant dean of the Graduate School of Social Services. His commitment to the pursuit of social justice and improvement was recognized when Mario Cuomo, upon his election as Governor of New York in 1983, invited Dowling to venture into government service. 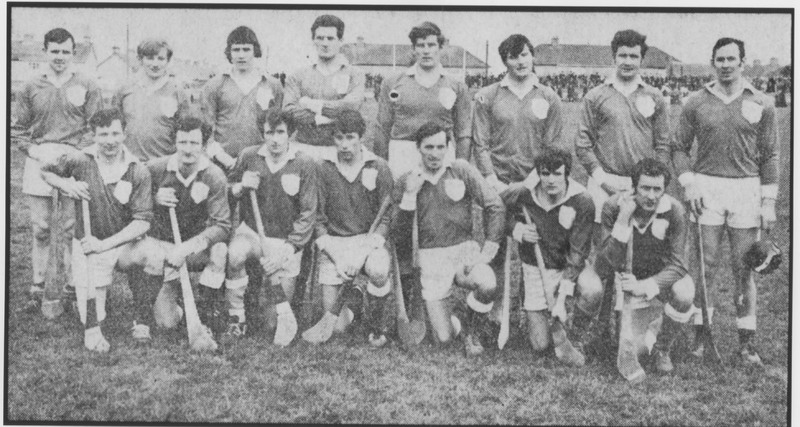 The Limerick Championship Hurling Team, 1971. Dowling is pictured front row, third from left. It was a good fit. Cuomo, himself the son of immigrants, matched in opinion with his new hire on many major issues. 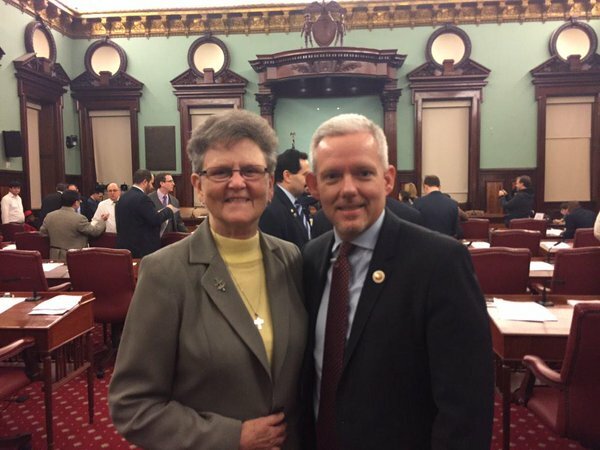 Dowling was eventually made the deputy secretary and director of Health, Education, and Human Services, and for 12 years in Albany advised the governor on a host of social topics including homelessness, Medicare, and the cocaine epidemic washing over New York at the time. When Dowling started at the company, there were three hospitals; today there are 21, and Northwell’s annual revenue is $11 billion. The company brings in 20 students from Ireland for work experience annually, with speech and hearing, nursing, and business students among their numbers. Northwell also offers compensation to help people return to school, whether for bachelor’s, master’s, or sometimes doctorate degrees. They also maintain the salary of military personnel while they are deployed so that they don’t loose any income; when they come back, their job is waiting. Northwell is continuing to expand rapidly under Dowling – they’ve moved into Connecticut, Westchester County, and upstate New York, and they are in discussions with potential partners to open locations in New Jersey and the Philadelphia area. 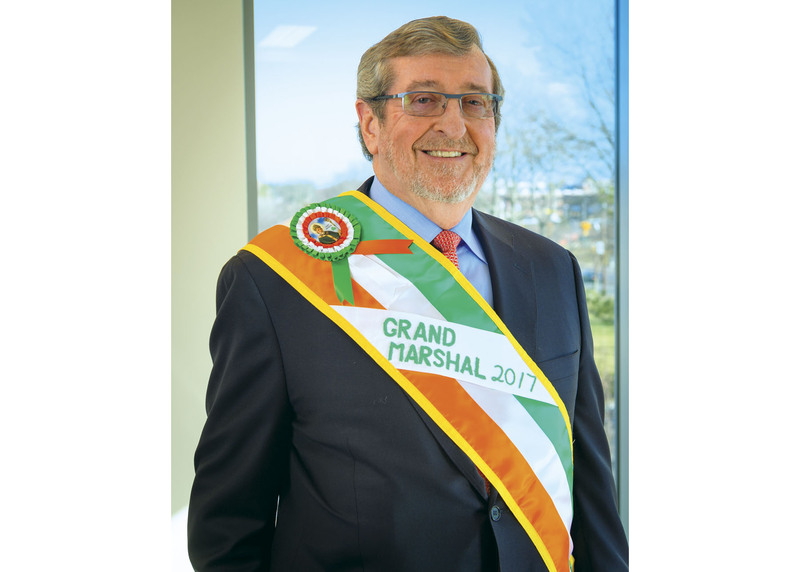 Michael Dowling is the 2017 New York City St. Patrick’s Day Parade Grand Marshal. “Everything is about teamwork,” says Dowling. It’s something that he learned early in life, as a champion hurler with the Limerick county team. “The criteria that I look for in employees is their ability to work together, because nobody succeeds by himself at anything,” he says. He’s confident that his team will adjust to any upcoming reforms to the U.S. healthcare system that the Trump administration may make. Dowling is also adamant that the Irish American experience is a tool to be used for the good of others beyond the healthcare spheres. In 2015, Dowling served as the keynote speaker for the Irish America Healthcare and Life Sciences 50 Awards, where he made a careful point of reminding the audience of the tragic image of Aylan Kurdi, a three-year-old Syrian boy who made international headlines when discovered, drowned, on a Turkish beach after his family’s bid for safety from political conflict. From dock-hand to teacher, from government worker to businessman, Dowling’s experience allows him to think from a multitude of positions and see the world through the eyes of those from all walks of life. He understands that the drive to succeed exists in everyone, and that adversity and 120-hour working weeks are obstacles that, with the right attitude, need never be feared in the pursuit of a better future. 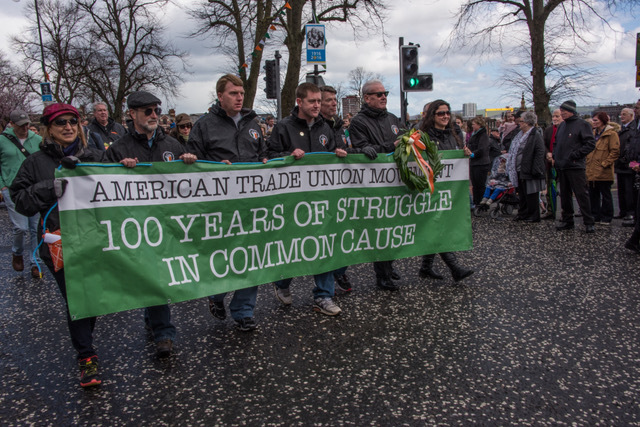 For more than 150 years, the American labor movement has been a conduit for Irish American economic growth and, just as importantly, between the Irish in America and their families still in Ireland as well as republican organizations on both sides of the Atlantic. Irish laborers in America sent an estimated $260 million across the Atlantic between 1850 and 1900, and Irish and Irish American labor leaders were seminal in the power-building of unions in the early 20th century – people like Jim Larkin, James Connolly, Constance Markievicz, Terence Powderly, Mother Jones, and John Devoy. The long and deep connection between the Irish and the American labor movements is alive and well in Terry O’Sullivan, general president of the Laborers International Union of North America. O’Sullivan’s top priority for LIUNA is for it to enable every one of its members to live a middle-class way of life. 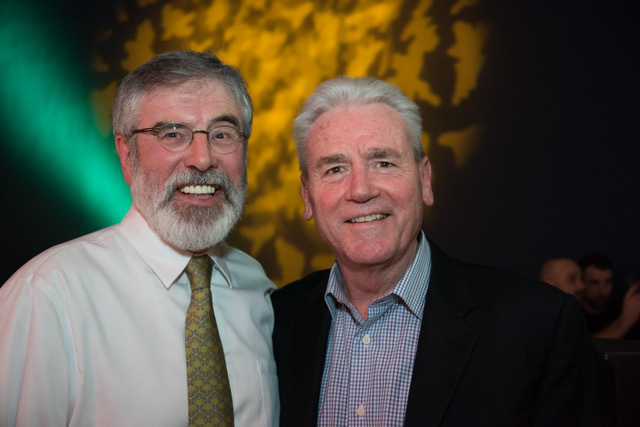 His dream for Ireland is for it to be united and independent. He is a powerful orator, unafraid to speak his mind, and passionately committed to achieving these two goals. At the union’s 2006 convention, under O’Sullivan’s leadership, delegates passed a historic resolution to devote 25 cents per hour worked by a Laborer to the union’s organizing efforts. That move has raised $80 million per year, enabling the union to weather the Great Recession, and swelling the union’s ranks to half a million members throughout North America. Moreover, he’s not afraid to hold controversial meetings or ideas in service of creating jobs. Unions, long a bastion of the left in the U.S., came out overwhelmingly for Hillary Clinton in the 2016 election, O’Sullivan and LIUNA not excluded. So while some found it surprising that O’Sullivan has long been a fierce supporter of the Keystone XL pipeline and the Dakota Access Pipeline, challenging the environmental wing of the progressive movement, anyone with a cursory knowledge of O’Sullivan’s commitments to jobs shouldn’t have been. More than 1,100 of the workers on the DAPL were LIUNA members, and O’Sullivan takes the fact that they were forced to halt work personally. Three days after President Donald Trump was inaugurated, O’Sullivan and other labor leaders met with him and other senior officials in the Roosevelt Room at the White House. Those executive actions – advancing DAPL and Keystone XL, expediting environmental reviews on infrastructure projects, promoting U.S.-made pipelines, and reviewing domestic manufacturing regulation – serve American workers, will create jobs, and allow the building trades to continue to thrive, according to O’Sullivan. There are an estimated 50,000 undocumented Irish in the U.S., many of whom work in the building trades, and, legal status aside, they continue a long history of the Irish in the American labor force that O’Sullivan knows well and he is as passionate about Ireland as he is about the Labor Movement. O’Sullivan is a proud supporter of Sinn Féin and a united Ireland. He serves as president of New York Friends of Ireland and chairman of the Washington, D.C. Friends of Ireland, has spoken three times at Sinn Féin’s Ard Fheis, the party’s national conference in Ireland (most recently last year), and is good friends with many of the party’s leadership, including Gerry Adams, Martin McGuinness, Mary Lou McDonald, Sinn Féin’s deputy president, and Rita O’Hare, Sinn Féin’s representative to the United States. O’Sullivan’s mother’s family emigrated from Galway and his father’s family from Kerry, a place that is like a second home for him, he says. 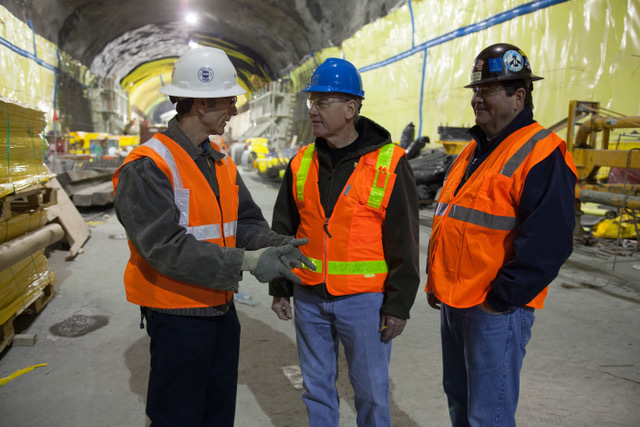 O’Sullivan (center) tours the Second Avenue subway tunnel work site in New York City with Laborers’ Local 147, “The Sandhogs,” November 2013. He joined Laborers’ Local 456 in 1974, while working on construction of the Washington Metro, and eventually moved to West Virginia and joined Laborer’s Local 1353 to become an instructor at the West Virginia Laborers Training Fund. In 1989, O’Sullivan became the Training Fund’s administrator, then assistant director of the LIUNA construction department in 1993; he later served as chief of staff, then as vice president, mid-Atlantic regional manager, and eventually as assistant to the general president. On January 1, 2000, he was elected general president. When he spoke to Irish America, O’Sullivan was about to commence on several weeks of travel, which he acknowledges can get tiring at times, but also revitalizes him and his faith in his work. “There is no better calling, as far as I am concerned, and having the opportunity, the honor, the privilege to represent people and trying to make a difference in peoples’ lives is what motivates me because this union made that difference that I felt in the lives of my father and my family,” he says. O’Sullivan enjoys spending time with his family: his wife, Yvette; his two children, Brendan and Caitlin; and his stepdaughter, Giovanna. Kevin White believes that his success and impact on collegiate sports is because of his Irish ancestry. “I am who I am, the diminutive pluses combined with the avalanche of minuses, because of my ancestral roots. To that end, I take great pride in being a teacher, a mentor, and a leader, which are all profoundly found within my Celtic DNA,” he told Irish America in February. 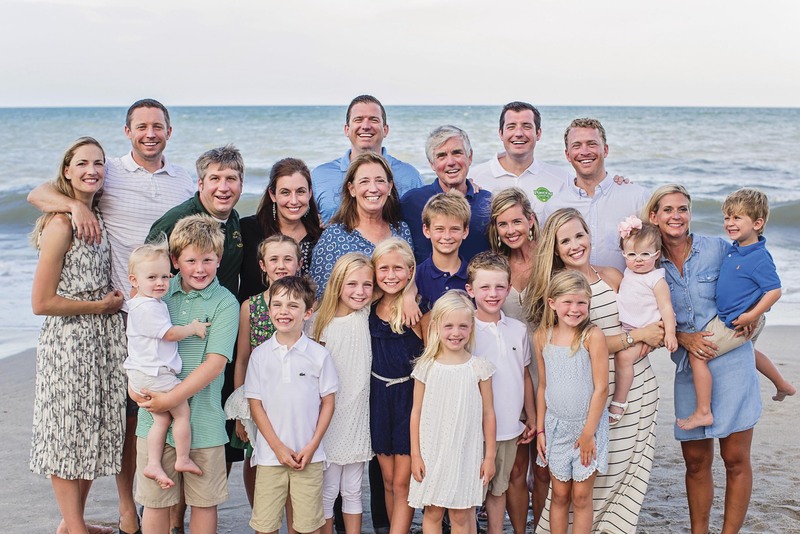 White, the vice president, director of athletics, and an adjunct professor of business administration at Duke University in Durham, North Carolina, was raised in Amityville, New York to parents who had roots in Dungloe, County Donegal. Both his paternal and maternal grandparents belonged to the Boyle and O’Donnell clans. If you already made the connection with the famous singer Daniel O’Donnell, yes, there is a claim that they might be cousins. Growing up, White remembers his house being filled with the distinct Donegal brogue. His maternal grandparents would stay with the family from time to time and tell him and his three siblings stories of home, where his grandmother, Mariah, was a dancer and his grandfather, Patrick, was a horse trainer who, at the time of his arrival in Ellis Island in 1902, only spoke Irish. White’s father, Emerson, wrote a syndicated sports column that was published in most of the local Long Island newspapers, as well as in and around New York City, but he credits his mother, Rita, as being the premier athlete of the family, due to her training and career as a dancer. “I would suggest, to this day, that my mother was unequivocally the very best athlete in our family,” he says. 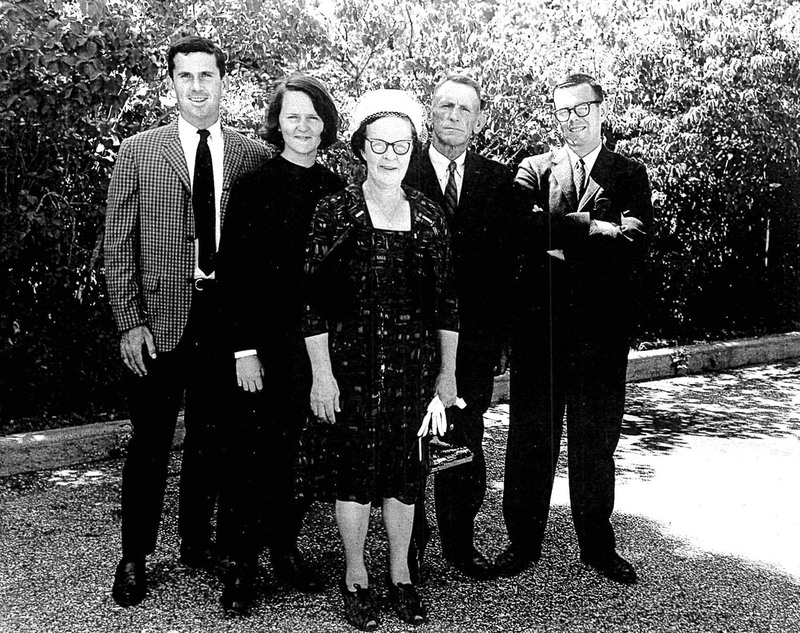 Kevin and Jane White (center) with their family. His mother, who had been sent from Wilkes-Barre to the Bronx to receive a Catholic education, took her Irish step dancing background and auditioned for the Rockettes at 15, joining their ranks in 1940. 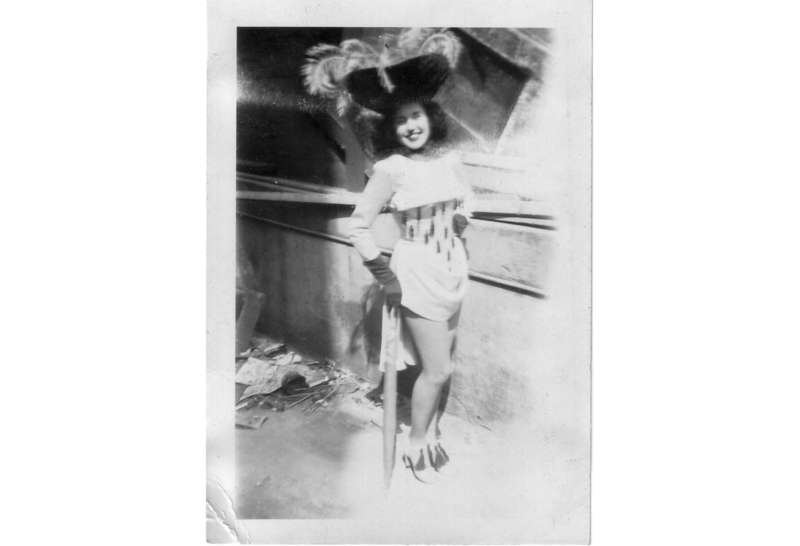 She danced with them through the war before moving on to work as an accompanying singer and dancer for well-known voices such as Danny Kaye, Bob Hope, Frank Sinatra, and the Tommy Tucker Orchestra. She was a widely known starlet of that time, performing in big time New York venues and USO shows all over the country. As a result of his parents’ moderate notoriety, White says, “Our upbringing was prideful, and a bit structured, but I wouldn’t portray it as strict. We were a classic American family that was moderately aspirational within our respective means.” They lived a firmly middle-class life. During his high school days, White was a track and field runner, and later, as he pursued a degree in business administration at Saint Joseph’s College in Rensselaer, Indiana, he would again participate in track and field. It was at St. Joseph’s that he would meet his future wife, Jane Gartland, who also ran track and field, and also had Irish heritage – from Dublin and Mayo. Shortly after Kevin and Jane married in the early 1970s, they relocated to Florida because White’s father had become terminally ill. In New Port Richey, the couple was hired as teachers and track and field coaches at Gulf High School, which eventually led to his introduction into the world of collegiate athletics. 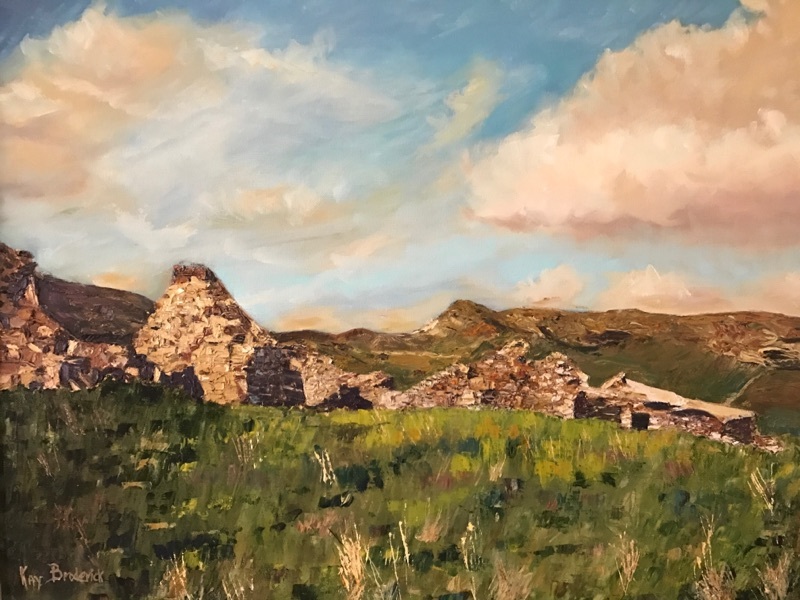 A painting of Kevin White’s ancestral Irish homestead in Dungloe, Co. Donegal. Since taking that step, White’s athletic programs and educational initiatives have enabled him to become one of the best, if not the best, athletic directors at the collegiate level. It’s unsurprising then that his first success came in his very first job, in 1982, at the collegiate level, at Loras College in Dubuque, Iowa, where he established the National Catholic Basketball Tournament. While at Loras, White saw there was a gap between the college and the community and figured a basketball tournament would bring the two together. “It was a need to reconnect the local community with the college and specifically with athletics,” he says. His vision led to a men’s and women’s basketball tournament between 32 Catholic colleges that would rival the NCAA tournament throughout the 1980s. White went on to lead athletic departments at University of Maine, Tulane University, Arizona State University, and, most recently, the University of Notre Dame, where he also served as president of the National Association of Collegiate Directors of Athletics, and president of the Division I-A Athletic Directors Association. His tenure there qualifies as the most successful across-the-board years in the history of athletics at the home of the Fighting Irish. Teams thrived under White’s tenure – men’s and women’s soccer, men’s and women’s fencing, and women’s basketball in particular, as they went on to win a total of four NCAA championships. In 2006, White was named as the General Sports Turf System Division I-A Central Region Athletic Director of the Year as his student athletes performed well in the classroom and on the field – the school boasted 44 All-Americans, 14 Academic All-Americans, and five of the combination of the two. These academic records set the bar for how White’s student-athletes would perform at Duke University. He joined the Blue Devils in 2008 and, as he had with Notre Dame, he developed an environment in which student athletes lead both on and off the field. The Blue Devils have gone on to win a total of seven NCAA championships in men’s basketball, men’s lacrosse, and women’s golf; 480 of these student-athletes made the latest All-Atlantic Coast Conference Honor Roll during White’s nine-year tenure so far. Last year, 25 out of 26 Duke teams earned grade point averages of 3.0 or better, and a combined total of 187 student athletes made the dean’s list, 97 in the fall and 90 in the spring season. Duke had a 98 percent graduation success rate. White also makes sure that these student athletes serve the immediate city of Durham as well as the surrounding community. Kevin’s maternal grandparents from Dungloe. Seated are Mariah and Patrick. Under White, over 500 student athletes have participated in community outreach, learning, and service projects and have a combined effort of 2,000 community service hours during the 2015-2016 academic year alone. One such project is a civic engagement program called the Rubenstein-Bing Student Athlete Civic Engagement Program, otherwise known as ACE. This program enables student-athletes from both Duke and Stanford universities to travel to countries like South Africa, China, India, and Vietnam in order to work together in communities that do not have enough resources for things like health services, education, social enterprise, environmental sustainability, conservation, or coaching. White’s student athletes weren’t the only ones who have succeeded under his administration; those who have worked under White’s tutelage have also gone on to succeed and some even to run their own athletic programs. White has taught over 20 athletic directors the tools of the trade in his 35-year career, some of the most notable at schools like Tulane University, Ohio University, Florida State University, Stanford University, and Duke’s own nemesis, the University of North Carolina. As well as assisting student athletes and future administrators, White has been a major proponent of diversity and inclusion in his thirty-five-year long career. This makes sense for a man who wrote his doctoral dissertation (he holds a Ph.D. from Southern Illinois University) on Title IX after comparing the inequality of his wife’s salary to his own, “wherein she was appreciably more successful as a high school and college coach,” he says. 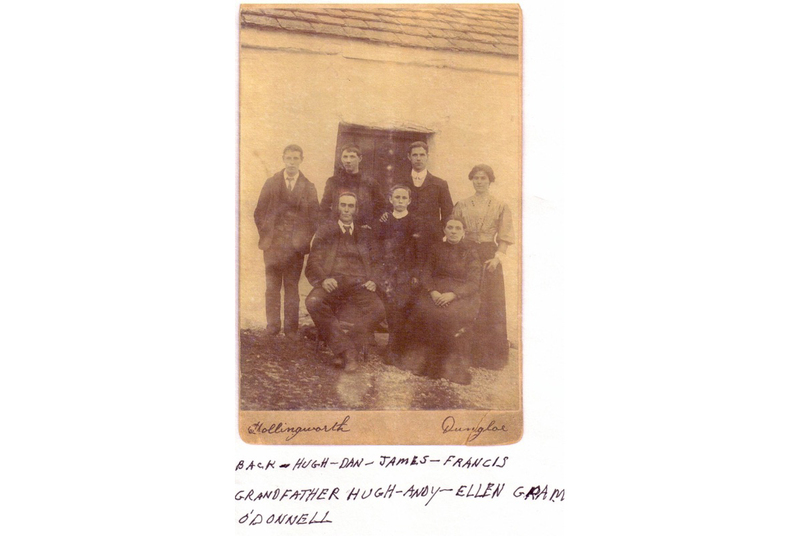 White’s grandfather Patrick’s family at their home in Dungloe. White is also a major advocate for diversity at the schools he serves. At all five of the Division I schools’ athletic programs where White has been at the helm, he hired the first ethnic minority head coach. At Duke specifically, the athletic department went from having one female member and no ethnic minorities on the senior and executive staff in 2007 to having eight women and four ethnic minorities in those roles under White. White was recently honored by the NCAA Minority Opportunities and Interests Committee last September as a “Champion of Diversity and Inclusion” for this change in Duke’s administration and his Open Door Initiative, a plan that allows for ethnic minorities to have an opportunity to intern in White’s athletic administration every summer, giving them a chance to cross the threshold into a world of athletic administration in the future. Kevin’s mother Rita as a dancer. White downplays the praise. “Each and every institution that I or my family have served has been, in its own particular way, just a magical experience,” he says. “At the end of the day, having had the opportunity to combine education and entertainment within the context of sport has been terribly gratifying.” If he’s a good teacher, he says, it’s an outgrowth of his ancestral background. Historically, his family were cited as highly accomplished Irish teachers. And if his nine years at Duke have been some the some of the best in his career, it’s partly because he was made to feel at home. “The greater Blue Devil family truly embraced our family,” he says. White’s children, following along in the footsteps of their parents, have embarked almost exclusively on careers in education and college athletics. His first son, Mike, is the head basketball coach at the University of Florida; his second son, Danny, is the athletic director at University of Central Florida; and his third son, Brian, is an associate athletic director for Development at Army. Meanwhile, White’s first daughter, Maureen, is an English teacher in Arizona and Mariah, the youngest, recently graduated from Tulane Law School. Irish heritage is important to Kevin and his family. He and Jane hosted alumni trips to Ireland while at Notre Dame, and have continued to host trips from Duke. 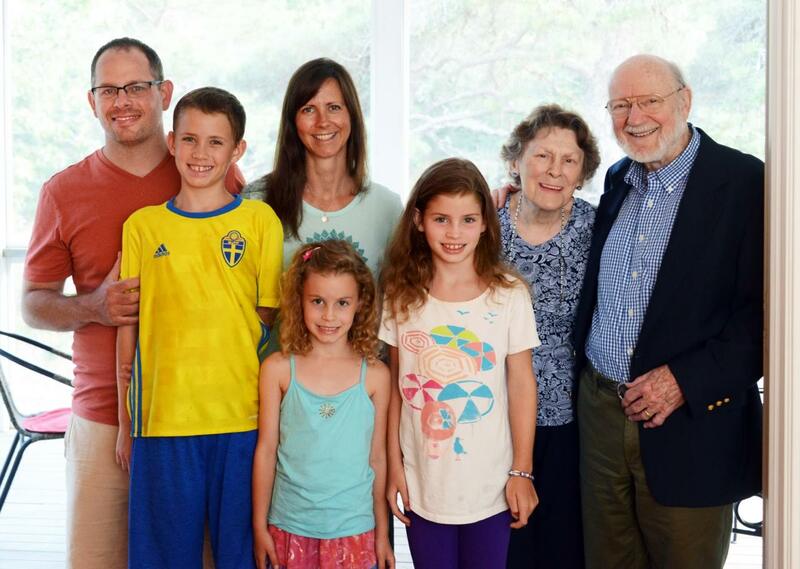 As a family, they have been back to Ireland and Dungloe over a dozen times since 1993. White, who is a dual citizen, is thankful, not only for the opportunities that America has given him, but for the opportunities his parents and grandparents were given in this country. He is grateful to those ancestors who came over from Ireland and paved the way for his family to enjoy the success they have today. – @POTUS 3:40 PM • Oct. 13, 2016. President Obama on Twitter when the 2016 Nobel Prizes were announced. Welcome to our eighth annual Hall of Fame issue. Our inductees represent the many arenas in which the Irish have impacted the United States. 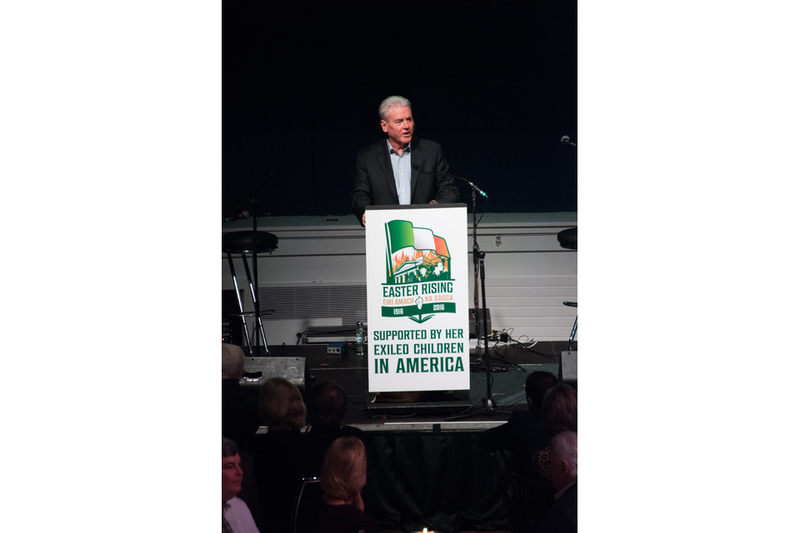 They’ve received numerous awards and accolades for their work in other places, but, being Irish, their much deserved recognition wouldn’t be complete without an award from Irish America. William Campbell’s work, for which he received the Nobel Prize in 2015, has transformed the lives of millions of people around the globe. He immigrated from Donegal to the U.S. in the 1950s and was recruited out of the University of Madison Wisconsin to work at the American pharmaceutical giant, Merck. He spent his career there, producing life-saving treatments for diseases in humans and animals. Campbell is responsible for the medicine that can kill the parasites that cause River Blindness, saving the sight of millions of people around the globe. Another immigrant and honoree, Michael Dowling, is also in the field of healthcare. As CEO of Northwell Health, he oversees 21 hospitals, and served in New York State government for 12 years, including seven years as state director of Health, Education and Human Services. A Limerick native, he will serve as this year’s Grand Marshal of the New York City St. Patrick’s Day Parade – at 256, the oldest and most famous in the country. (See our feature on parades around the U.S. in this issue.) At 17, he arrived in New York and worked 120-hour weeks on the docks cleaning boat engines to put himself through college and help out his family back in Limerick. Like Dowling, the Irish of earlier generations often entered the workforce as laborers, and these immigrants helped form the first unions. As General President of the Laborers International Union, honoree Terry O’Sullivan has a deep commitment to providing his members with a pathway to a middle-class life. 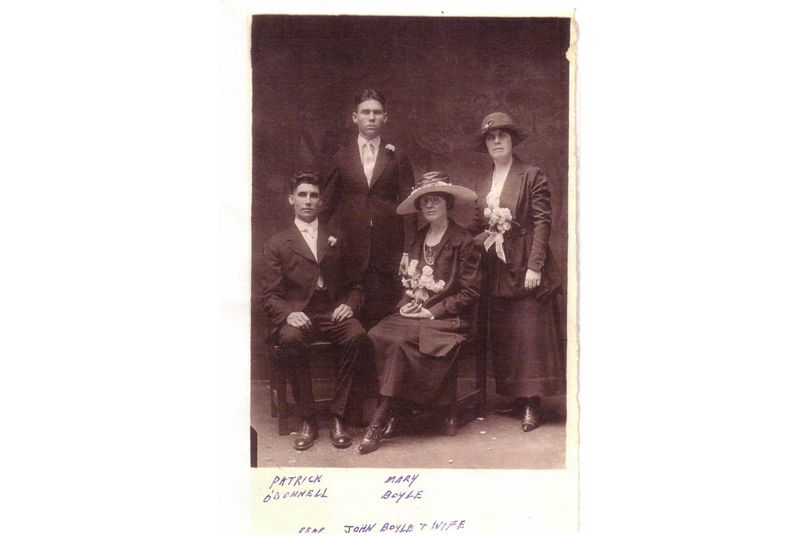 It was the local Laborer’s union in San Francisco that helped his grandmother get by when her husband, an Irish immigrant from Kerry, died at age 37, leaving her with a young son, Terry’s father, and another baby on the way. Today, many of Terry’s workers are immigrants from around the globe, and he looks after them as if they too, were family. Honoree Kevin White, the athletic director of Duke University, whose ancestors are from Donegal, represents sports and education, two areas that have provided a path to upward social mobility for many Irish. An award-winning coach, Kevin makes sure that his student/athletes perform as well in the classroom as they do on the playing field. Sister Tesa Fitzgerald, the daughter of immigrants from Kerry and Donegal, embodies all that is good about the Irish. She has the empathy of Mother Jones (born in Cork in 1837, Jones immigrated just after the Famine, and went on to be a fearless fighter for workers rights. Read Mother’s story in this issue). 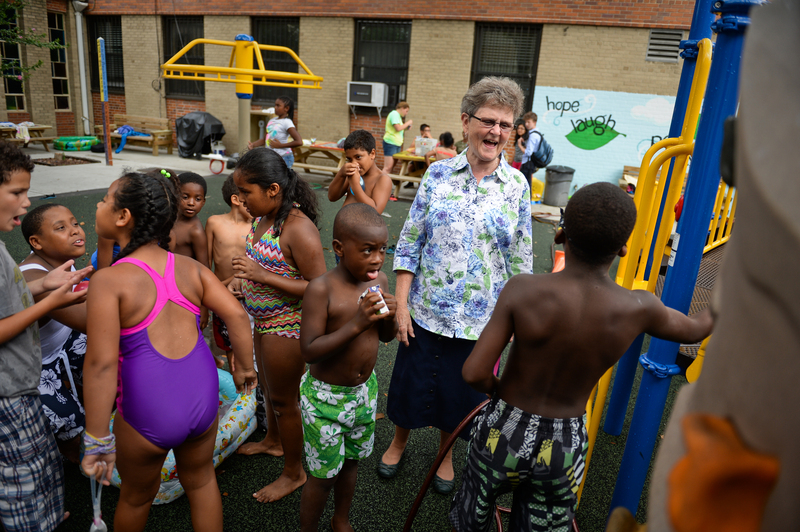 Sister Tesa, with her big and generous heart, cares for countless children whose own mothers are interned. And then helps those mothers get back up on their feet when they leave prison, overcoming the poverty and abuse and lack of education that put them there in the first place. We are proud to have Sister Tesa as an honoree. In the story of John Wolfe Ambrose, we see again the impact of immigrants on American life. Like Mother Jones, Ambrose, also survived the Famine. He immigrated in 1851 as a 13-year old boy to join his father who was already in New York. From very poor beginnings, he grew up to be a brilliant engineer and developer and turned New York Harbor into the world port it is today. No photographs exist from the Famine, more properly known as the Great Starvation, the event that forced a million and a half Irish to cross the ocean, and head out into the unknown, but look closely at the photographs of Irish evictions in the 1880s in this issue. Perhaps you will see despair of those Irish homeless etched into the faces of those uprooted refugees of today. Michael Dowling, speaking at the magazine’s annual Healthcare and Life Sciences 50 Awards, said it best. “We also have to remind ourselves – and we should remind ourselves of this continuously – that we are all immigrants, or descendants of immigrants. So as you watch TV, and you listen to the stories, and we sit and we take vows about some of the things that we try to accomplish, let us not forget the history, and those that did extraordinary things that probably we, as good as we think we are, would probably never have the courage to do back in those days 100 years ago. “And that same courage is being personified today by people from all over the world by people searching for what so many others also searched for – opportunity. And who knows, maybe in some future time some of the kids of those people will stand at podiums like this to talk about the major contributions they have just made to the societies they just entered. “So let’s be proud, proud of our noble profession, proud of our achievements, but always keep in perspective. Philanthropist, businessman, and Irish America Hall of Fame member Brian Burns was officially announced as President Donald Trump’s appointment for ambassador to Ireland in January. He was tapped for the position in November, well before Trump’s inauguration on January 17 and must still undergo a lengthy approval process. Eighty-year-old Massachusetts-native Burns is the chairman of BF Enterprises, Inc., a publicly-owned real estate holding and development company, and is currently based in Florida. He is the grandson of Irish immigrants originally from Co. Kerry, and was inducted into the Hall of Fame in 2013, alongside former vice-president Joe Biden, for extensive work in aiding Irish causes over the course of his career. In 1963, he became the first, and to-date youngest ever, president of the American Ireland Fund, a position for which he was appointed by John F. Kennedy. He is the owner of the largest Irish art collection in the United States, works from which have circulated throughout Ireland and the U.S. He is also the principal benefactor of the John J. Burns Library of Rare Books and Special Collections at Boston College, opened in 1986 and named for his father, and established the Burns Visiting Scholar in Irish Studies program at the college. Burns is excited about the possibility of moving into the American ambassadorial residence in Phoenix Park, Dublin, and hopes to invite the president to visit Ireland, perhaps to meet at his luxury golf course in Doonbeg, County Clare. For the first time in history of Northern Ireland there will be a nationalist majority in the national assembly at Stormont. A short 10 months after the previous Northern Ireland Assembly election, the citizens went to the polls again in March. Sinn Féin, the second-largest party in the North had triggered the election in protest over a scandal involving Arlene Foster, the leader of the Democratic Unionist Party. Dissatisfaction with the DUP’s position in favor of Brexit is also blamed for the decrease in unionist turnout. Meanwhile nationalists voted in greater numbers than in previous years. Sinn Féin and the Social Democratic Labor Party, the smaller nationalist party, together now outnumber the DUP and Ulster Unionist Party, the smaller unionist party, in parliament. Gerry Adams, Sinn Féin’s president, speaking to the Guardian about the election results said, “the notion of a perpetual unionist majority has been demolished” in Northern Ireland. Foster will continue to serve as first minister despite her party losing 10 seats and the scandal, related to budgetary aspects of a renewable heat incentive she established as enterprise minister. With just 28 seats, the DUP is now two votes short of the number required to veto any legislative action, meaning that a gay marriage bill, which the DUP were against, is more likely to be passed. Co. Tyrone native Michelle O’Neill, who replaced the ailing Martin McGuinness as Sinn Fein’s leader in the North, will soon commence talks for the restoration of power-sharing. “The task is not easy, but it is achievable if people come at it with the right attitude,” she told the BBC. The election saw 228 candidates competing for 90 seats in the Northern Ireland Assembly, cut from 108 after a 2016 cost-benefit reduction. Of the 18 fewer seats, unionists lost a combined 16, while Sinn Féin lost one, and the SDLP retained their 12. Many have posited that the unionist losses constituted a referendum on those parties’ support of Brexit, which Northern Ireland voted overwhelmingly against. General Martin Dempsey, the former chairman of the Joint Chiefs of Staff, was presented with the James Joyce Award in Dublin recently. Also known as the Honorary Fellowship of the Society, the award is given by the Literary and Historical Society of University College Dublin for those who have achieved outstanding success in their given field. Recipients have ranged from respected academics, lauded political figures, skilled actors, and, like Joyce himself, writers. Notable former recipients include scholar Noam Chomsky, novelist J.K. Rowling, U.N. weapons inspector Hans Blix, and Archbishop Desmond Tutu. The award is the highest honor that the society can bestow. Before he ever became know as a writer, Joyce was known for his fine tenor voice. General Dempsey is an English major who is as comfortable singing Irish ballads as he is commanding an army. 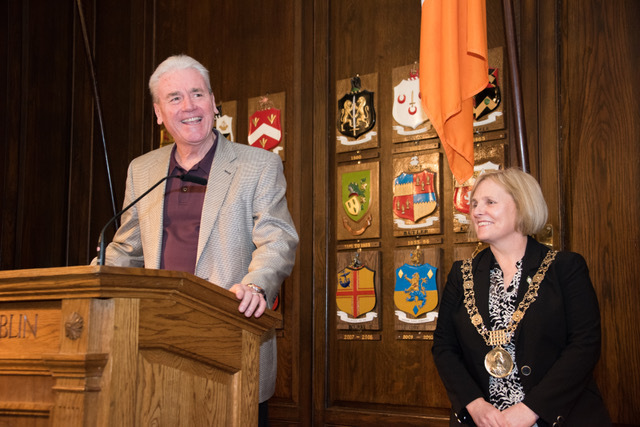 In fact, it was a video of General Dempsey singing at Irish America’s Hall of Fame Awards last March that prompted the society to reach out to him, Donal Naylor, the society’s auditor, confirmed. Despite the fact that the deadline for the completion of the U.K. withdrawal from the European Union is two years away, U.K. companies are already registering in Ireland to shore up contingency plans to remain part of the E.U. market. According to statements made by Northern Irish member of parliament Stephen Kelly to the Northern Ireland Affairs Committee in the House of Commons in February, more than 100,000 companies have already registered, with more expected to follow. “Manufacturers need time to plan, they need time to ensure they put in place whatever measures they need to ensure their sustainability in the long term,” Kelly told the committee, according to the International Business Times. The news comes after a January announcement by U.K. prime minister Theresa May that British companies would not be guaranteed to keep access to the European markets. Ireland, which will share the only E.U. land border with the U.K., has become the primary focus of relocation initiatives, primarily taken on by Northern Irish manufacturing companies. One of Northern Ireland’s largest employers, pharmaceutical firm Almac, which employs about 2,600 people in the north, has already set a groundwork for moving across the border to Dundalk, County Louth.